Uses: General, Christ the King Scripture: Psalm 118:22-24; Ephesians 2:14-22; I Peter 2:4-6 The hymn My Hope Is Built on Nothing Less is the foundation of this favorite song from Hillsong Music. 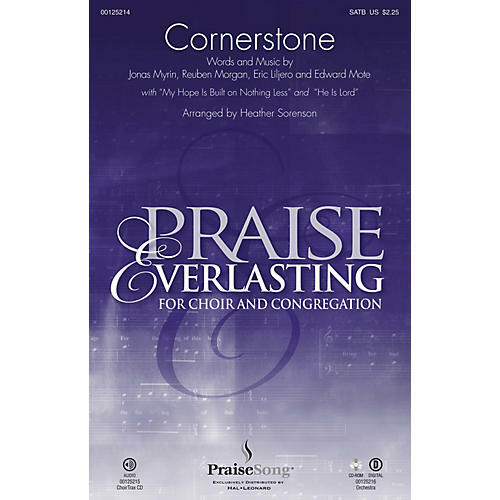 With two distinct endings - one that features the choir only, and an extended medley option for choir-led congregational worship - Heather Sorenson's stellar arrangement is sure to create a powerful moment in your services. Score and Parts (fl 1-2, ob, cl 1-2, tpt 1-3, hn, tbn 1-2, tbn 3/tba, perc 1-2, hp, rhythm, vn 1-2, va, vc, db) available on CD-ROM and as a digital download.